Shawna Milner, the founder of Coulter-Milner & Company in Long Beach, CA is a highly sought after interior designer of luxury residential interiors. 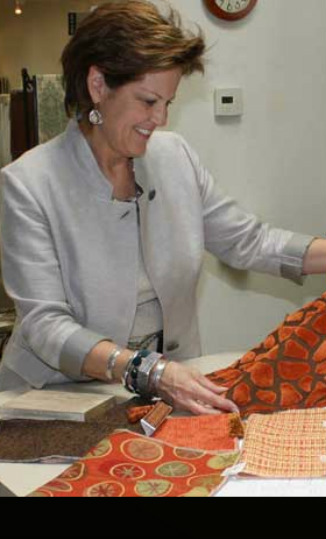 As a designer, her vision and innovation draws inspiration from her travels and love of architectural history. With an innate ability to fuse layered details with a minimalist approach, Shawna's interior designs transform everyday living spaces into a "one-of-a-kind" indulgence. Specializing in custom homes and kitchen & bath designs, Shawna's work includes large scale renovations in Northern and Southern California, New York City, St. Louis, Las Vegas, and Lake Tahoe . At ease on construction sites, Shawna has extensive experience with the building process and the ability to manage projects from early conception to completion. Her collaborative work with architects and contractors, along with experience in the particulars of construction, enable Shawna to transition her work from indoor to outside living spaces and landscape design.